This month, watch a colony of king penguins go for a walk at the Calgary Zoo, head downtown for a winter light festival and check out haute couture dresses by Christian Dior at a new fashion exhibition. Most of us don’t need an excuse to enjoy a delicious cup of hot chocolate, but February is always a particularly good month to do so in Calgary. That’s because YYC Hot Chocolate Fest, which encourages local restaurants and coffee shops to come up with unique hot chocolate drinks in support of Calgary Meals on Wheels, runs for the entire month. Try as many of 2019 drinks as you can and cast your vote for your favourite. Craving seafood and steak? Head to Modern Steak’s new second location that opened in Stephen Avenue’s Imperial Bank building in late December. Start your night in Modern Steak’s second floor restaurant space with Wagyu dumplings, seared scallops and cuts of steak including bone-in filet, ribeye, New York striploin, flat iron and more. Then, head down to the first floor to cap off the night with a cocktail or glass of wine at the restaurant’s new cockatil lounge called Bar Modern. If you’ve never attended the Exposure Photography Festival before, now is the time to check it out. The annual festival is celebrating its 15th anniversary this year and has an impressive line-up of exhibits in store for audiences. 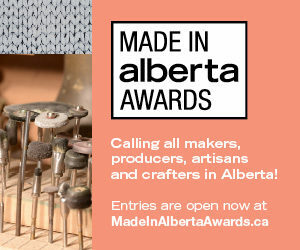 There’s an emerging photographers showcase featuring Alberta talent, a retrospective photo exhibit focused around the Calgary Folk Music Festival, an exhibit on concert photography and more. There’s a new spot to pick up fresh vegetables, coffee and locally made treats in Marda Loop. The Marda Loop Mercantile opened its doors in December and features vendors like Brant Lake Wagyu, Pie Cloud, Latte Art Love and The Farmer’s House. There’s also a selection of fresh produce, snacks and locally made food products. Swing by the new farmers’ market between 10 a.m. and 6 p.m. from Wednesday to Sunday. Photograph courtesy of Telus Spark. No need to run away to the circus — starting on February 2, the circus is coming to Calgary (or, Telus Spark to be exact). Circus! Science Under the Big Top is Telus Spark’s newest exhibit and it features more than 20 circus-themed displays that explore everything from the art of sword swallowing to being an aerialist in a harness (and yes, you can actually try the latter activity). The Establishment Brewing Company is the newest brewery to join Calgary’s Barley Belt. Opened by four friends with backgrounds in home brewing, the new brewery has some exciting beers on tap including an American brown ale, a West Coast IPA, a German Pilsner and more. The brewery also specializes in barrel-aged beers, so be sure to give brews like the Hibiscus Brett Saison a try or buy a bottle for home. Swing by Establishment’s taproom (located by Annex Ale Project) to try them all. You may not think that mountain climbing and opera have much in common, but the Calgary Opera will prove you wrong as it takes on the Canadian premiere of Everest, an opera inspired by the novel and subsequent film Into Thin Air. Featuring music by the Calgary Philharmonic Orchestra, the production explores the exhillerating and dangerous journey that mountain climbers take to climb the biggest mountain on Earth. There’s something magical about skating down the Bowness lagoon in the middle of winter, surrounded by hoarfrost-covered trees and snow banks. Thankfully, it’s not too late to experience one of Calgary’s best outdoor rinks this winter. Bring your own skates or rent some from the skate shop (you can get a discount if you rent on a Saturday or Sunday morning or if it’s colder than -25 degrees). And when you need to warm up, pop into Seasons of Bowness Park restaurant for a bowl of French onion soup or some braised lamb while overlooking the lagoon. There is always lots of fun to be had in the mountains near Calgary, and this month is no exception. From the World Cup Biathlon in Canmore to a fly fishing film festival in Fernie, there are tons of reasons to make a drive out to the mountains this month. Plus, there are winter festivals going on in Banff, Canmore and Cranbrook. 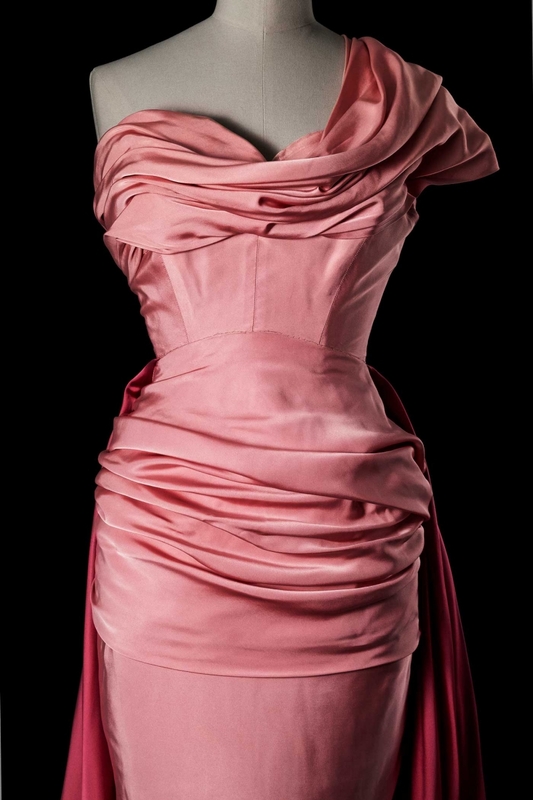 The Rose France dress by Christian Dior, 1947. Photograph by Laziz Hamini. French designer Christian Dior had a huge impact on the fashion industry, and now, Calgarians can learn more about his work at a new international fashion exhibition at the Glenbow. The Christian Dior exhibit features 37 stunning haute couture dresses created between 1947 and 1957, as well as acessories. The exhibit runs from February 3 to June 2. J.K. Rowling’s Harry Potter series is no joke — the seven books total more than 4,000 pages, while playing all eight movies would take more than 19 hours. But with Potted Potter, actors Daniel Clarkson and Jefferson Turner have created a hilarious theatre show that covers the seven books about the boy who lived — and they do it in only 70 minutes. Don’t miss the chance to see the pair take on 360 characters, play quidditch and more on the tour’s only stop in Western Canada. Learn how to decorate your cookies like the pros at one of these cookie decorating classes hosted by Sweet Relief Pastries. After learning how to create beautiful cookie designs with royal icing, you can take your seven finished cookies home to eat or to gift to a loved one. Plus, you get the cookie and icing recipe so you can make these treats again another day. Lunchbox Theatre’s latest one-man production explores the stories of two unique artists. Assassinating Thomson stars artist, playwright and actor Bruce Horak as he takes the audience through the life of Tom Thomson, a Canadian artist who some believe died under mysterious circumstances in 1917. The show takes on an extra layer as Horak, who has less than 10 per cent of his eyesight, delves into his own background and paints the audience live throughout the production. Love will be in the air at the Calgary Philharmonic Orchestra’s latest Rush Hour performance. Focused around the theme of romance, the show will feature classical works by French composers Claude Debussy, Louis-Hector Berlioz and Joseph Maurice Ravel. Because the show is part of CPO’s Rush Hour series, it only runs an hour and there will be a happy hour in the lobby before the show. Calgarians already know and love Village Ice Cream, but if you haven’t visited its original Victoria Park location lately, make plans to do so this month. This location recently underwent a big renovation and has a gorgeous new design courtesy of Fort Architecture. Stop in to check out the space while enjoying a scoop of Guide’s Mint or Phil and Sebastian Coffee ice cream. Downtown Calgary is going to be a lot brighter this month during Glow Fest. The winter light festival features more than a dozen exhibits and events focused around creating magical light-filled experiences. Expect illuminated, interactive art installations, a tech fashion show by MakeFashion and a night of art and music put on by BassBus in Olympic Plaza. Can’t stop watching RuPaul’s Drag Race? Then don’t miss the chance to see some of the show’s best drag queens as they make fun of each other during the Calgary stop of The Shady Tour. Expect to see Willam from season four, Ginger Minj from season seven and All Stars 2, Latrice Royale from season four and All Stars 1 and 4, Thorgy Thor from season eight and All Stars 3, Darienne Lake from season six and Jinx Monsoon from season five. Sometimes it takes a great lunch break to get you through the day. Thankfully, there are at least eight restaurants in Calgary that offer an express lunch deal that gets you in and out in an hour or less. Offering everything from Beretta Farms beef burgers to warm cookies to bring back to your office, these spots know how to do a quick lunch right. In a few weeks, the winners of the 2019 Oscars will be announced. 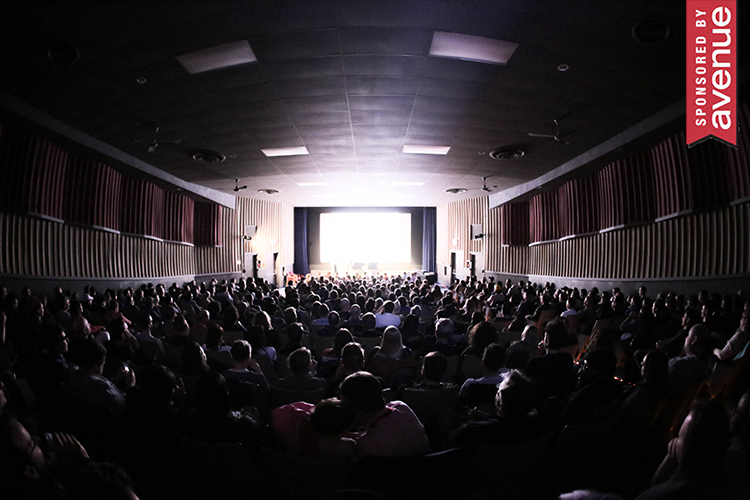 And while you might not have time to see every nominated film before then, Calgary Film is making it easy to check out the short films that are nominated this year. The local film organization is setting up shop at Globe Cinema to show the films nominated for best animated short film, live action short film and short subject documentary over the course of a weekend. Then, on February 24, you can predict the winners (and see the results live) at Calgary Film’s annual Oscars viewing party. 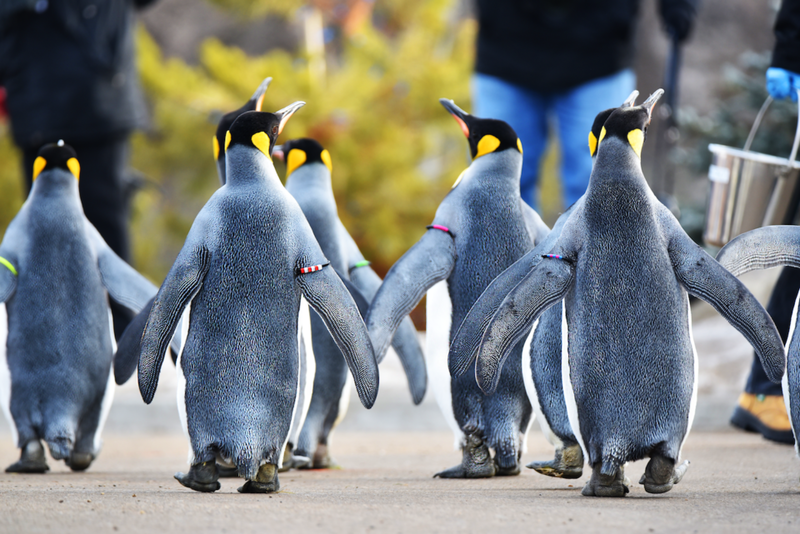 Hera, Nero, Diana, Arthur, Caesar — these are just a few of the adorable king penguins you’ll see waddling through the Calgary Zoo during this year’s Penguin Walk. Every winter from mid-January to the end of March, the zoo’s king penguin colony go on a daily, 15-minute morning walk around the grounds that the public can watch (weather dependent). The walks start at the Penguin Plunge at 11 a.m., so don’t miss your chance to see these awesome animals outside of their usual habitat. Thin crust, thick crust, Neapolitan — you can get lots of different kinds of pizza in Calgary and now, you can also get Detroit-style pizza. Pow Pizza is a new pizzeria in Renfrew that makes thick crust, rectangular pizzas that will fill you up in no time. Swing by to get one of the six Detroit-style pizzas for takeaway, including the Crime Wave (made with braised pork shoulder, pork jus, brick cheese, pineapple and jalapenos) and the Haute Renfrew (made with bacon, garlic sausage, brick cheese, potato, sour cream and green onion). It doesn’t get more Canadian than an outdoor curling tournament featuring local beer gardens, a roaring fire pit and live music. Experience it all at this year’s Beltline Bonspiel, which returns to the field beside the Lougheed House from 11 a.m. to 5 p.m. on February 16. Six curling teams will be playing on the outdoor rink throughout the day. And if you need to warm up, pop into the Lougheed House to check out this national historic site for free. Lloyd’s Recreation may be closed now, but Calgarians can still get their fill of roller skating at this event honouring the former roller skating arena. On February 16, Calgary’s Roller Recreation Association is holding a “Lloyd’s Legacy Skate” night at the Don Hartman North East Sportsplex and the night comes complete with $5 roller skate rentals, DJ music and a silent auction. This is a family-friendly event and you can bring your own skates if you prefer. If you’re looking to refresh your wardrobe without hurting your wallet, now is the time to do it. Netflix’s new show Tidying Up with Marie Kondo has inspired mass closet clean outs everywhere, and where are most of those clothes going? Thrift and consignment shops. Swing by some of Calgary’s thrift and consignment shops to see if anything sparks joy. Spice up your next visit to Heritage Park’s Selkirk Grille by checking out its new monthly games night. The restaurant kicked off this new series with a “classic board games” theme in January and will feature a different theme for the games, snacks and drinks every month after. The games nights generally take place on the last Thursday of the month.